COVER OF THE MONTH: JOCK - PIGS #1 Jock does so many cool covers I wonder if he can now sleep while he renders them? 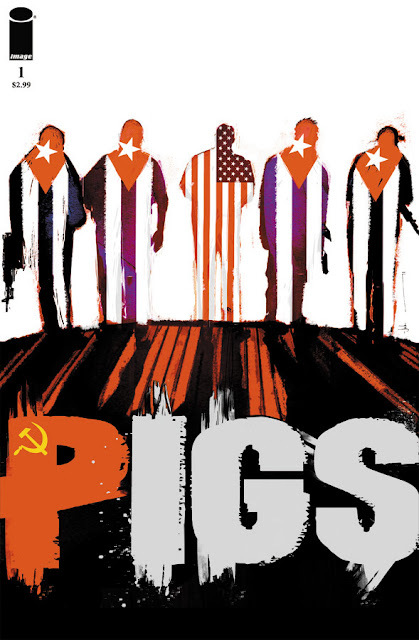 In Pigs though a KGB sleeper cell is coming to kill you - so you just might want to stay awake for that one. 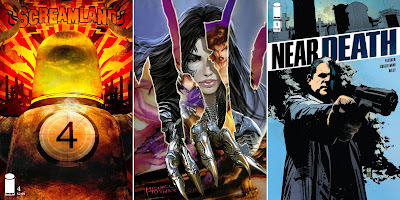 CLOSE CONTENDERS: Hector Casanova - Screamland #4 (Who doen't love a brain floating in a robot? ), Stjepan Sejic - Witchblade #150, and Tomm Coker - Near Death #1. For more Image September solicits click the jump.